Pill bugs are found all over the world and in the U.S. 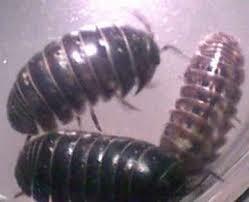 When disturbed they will roll up into a ball and many people refer to them as “rolliepollies”. Pill bugs are about ¼ inch long and black colored. Pill bugs are not actually arthropods and not insects. They are confined to high moisture areas, thick vegetation, and under rocks, boards and structures. Pill bugs feed on decaying plant and animal matter and are harmless pests. Control can be achieved by removing grass clippings, mowing regularly, raking leaves and spraying on a normal basis. In the state of Iowa there are a handful of ants that can become household troublemakers. The most famous are probably carpenter ants. Carpenter ants will damage wood by chewing and excavating holes to make nests. Many times people will notice piles of “sawdust” which looks like someone just cut a board in the area. This is the wood they are getting rid of to make a nest. Carpenters will swarm two or three times a year just like termites. When swarming, they fly and then drop their wings in an area they like. Hopefully, homeowners get them treated before they do damage to a wall or other areas of the home. 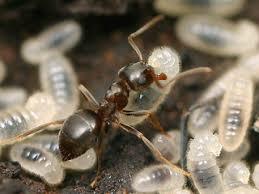 The ants can reach large sizes even up to an inch long. They prefer to make the nests in softer, water damaged wood but this is not always the case. A new spider species discovered in the Middle East is the largest of its type, but is reportedly endangered. Check out the new show that features pest control professionals. You’ll see why regular maintenance is well worth your money. According to an article I found at pantagraph.com, there is a mysterious disease killing bats in Kentucky. They were listed as gray bats, which in the past have been listed as endangered, but have been making a comeback. They can live up to 30 years and have a wingspan of 10-11 inches. So far 2 rabid bats were found with the disease, but what seems to be a bigger problem is “white-nose syndrome”. It’s called this due to the fungus found on the noses of sick or dead bats. This has spread to four states, and has killed tens of thousands of bats. So far there doesn’t seem to be an explanation for the sicknesses, and researchers are scrambling to find answers. I have not heard of this disease happening anywhere around Iowa, but it would be devastating to have a bat-less society. They eat their weight in mosquitoes every night, and are great for the ecosystem. To read the full article, click here. Recently, I was interviewed by the Des Moines Business Record while treating a mole infestation at a friend’s fishing cabin. Mr. Kent Darr braved the rain and mud while I explained some of the techniques for getting rid of the underground rodents. Eric Rowley did a video in the same location. I was very appreciative of their work and will be looking for others who wish to share a story. These guys do a great job and are easy to talk to. Gift Card from Smart Pest Solutions! So, it’s that time of year again. Holiday preparations and shopping are officially underway. Some of you amazingly enjoy the dreaded trip to the shopping mall to endlessly search for the “perfect” gift, all the while scoring great “bargains” and “finds.” I commend these shoppers and bargain hunters. But truly, I must confess this is not my version of successful holiday shopping. What I do enjoy is finding gifts that are thoughtful, personal, and greatly appreciated. That’s why Smart Pest Solutions is offering gift cards this holiday season. Instead of buying yet another something to hang on the wall or clutter the house for that person on your list, consider a Smart Pest Solutions Gift Card. A gift card says I care about you, your health, your safety, and your most important possession, your home. A gift card may be a great present for an older parent or children who don’t have the resources to purchase such important health and property protection. Smart Pest Solutions will work with you to develop a gift card that fits your needs. For example, we could set up a gift card with a dollar amount that can be applied to services or purchase a specific number of services for that important person in your life. Contact us today to discuss options for your perfect present this year. The Iowa Pest Management Association (IPMA) annual conference was held November 8th and 9th at the Holiday Inn by the airport in Des Moines, IA. 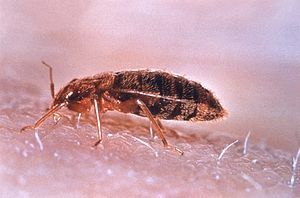 IPMA is part of the larger National Pest Management Association. The conference is geared towards sharing new technologies and assuring that members have the opportunity to review the most up to date information in the field of pest management. My wife and I had the opportunity to attend. Notable speakers included Dr. Kathy Heinsohn from NPMA, Fred Whitford from Purdue University, Ken Holscher from Iowa State University, and Travis Chambers, senior technological representative for Bell Laboratories. The conference was a great success and chance for pest management professionals to converge and address the most important issues in our field today.